Carbon storage – also known as geosequestration – is one component of carbon capture and storage and involves safely storing captured, liquefied, and transported carbon dioxide (CO2) deep underground. Carbon storage offers the greatest potential for permanent removal of CO2. Where can CO2 be stored? CO2 can be stored in different geological sites, including saline water-saturated rocks, and depleted oil and gas fields. Geological storage of CO2 requires rocks to have enough porosity – which determines how much CO2 that can be stored – and permeability, which is a measure of how well the pores within these rocks are connected, allowing the CO2 to flow through the rock. Depleted oil and gas fields have already proven their ability to store hydrocarbons over millions of years, and have a similar ability to store CO2. How is CO2 stored in saline water-saturated rocks? CO2 can be stored in underground formations of deep porous sedimentary rock – such as sandstone – which are saturated with salty water unfit for human or agricultural use. Such formations must be covered by a layer of impermeable cap rock such as shale or clay which acts as a seal, preventing the CO2 from escaping. Once injected into the formation, the CO2 dissolves into the saline water in the reservoir rock. CO2 storage in deep saline formations usually takes place at depths below 800m, where the CO2 will be at high enough pressure to remain in a liquid-like state. Saline formations have the largest storage potential globally and are similar to oil and gas reservoirs, except they contain saline water instead of hydrocarbons. Nature has captured and contained oil and gas in rock formations for centuries. Scientists are learning from nature to do the same with CO2. These storage sites are not underground caves or caverns, but consist of tiny pores within the rock which act like a sponge to store the liquefied CO2. These tiny pores add up to a huge volume with the capacity to store millions of tonnes of CO2. Saline aquifers have been demonstrated as a storage option in Norway and Algeria, with each project storing around one million tonnes annually of CO2. CO2CRC Ltd is testing injection and associated monitoring technologies in a saline formation in Victoria. How is CO2 stored in oil and gas systems? Depleted oil and gas reservoirs have a proven ability to store hydrocarbons over millions of years. 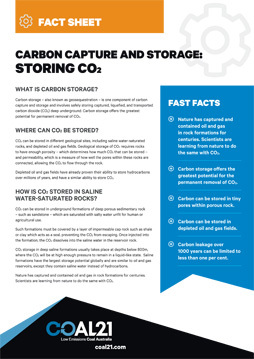 With CO2 storage, CO2 moves into the pores previously occupied by oil or gas, becoming immobilised in the same way as the original hydrocarbons. CO2 injection is already widely used in the oil industry for Enhanced Oil Recovery (EOR) from mature oilfields, including in North American EOR projects such as the Weyburn and Boundary Dam projects in Canada and the Petra Nova project in Texas. The CO2CRC Otway project has injected and stored more than 65,000 tonnes of CO2 in a depleted gas reservoir deep underground and further injections into different formations, including saline aquifers, are being progressed. This is the world’s largest geosequestration research effort and is globally recognised for its work. It includes a comprehensive monitoring program, developing and validating novel methods for monitoring the CO2 plume as it migrates through the reservoir. Yes. Sites are carefully monitored during and long after the CO2 is injected underground. Technologies and protocols for monitoring and verification are used to track the CO2 migration within porous rock formations and ensure that the injected CO2 remains trapped in their reservoirs. Extensive modelling of carbon storage shows that carbon leakage over 1000 years can be limited to less than one per cent. What storage projects has COAL21 invested in? 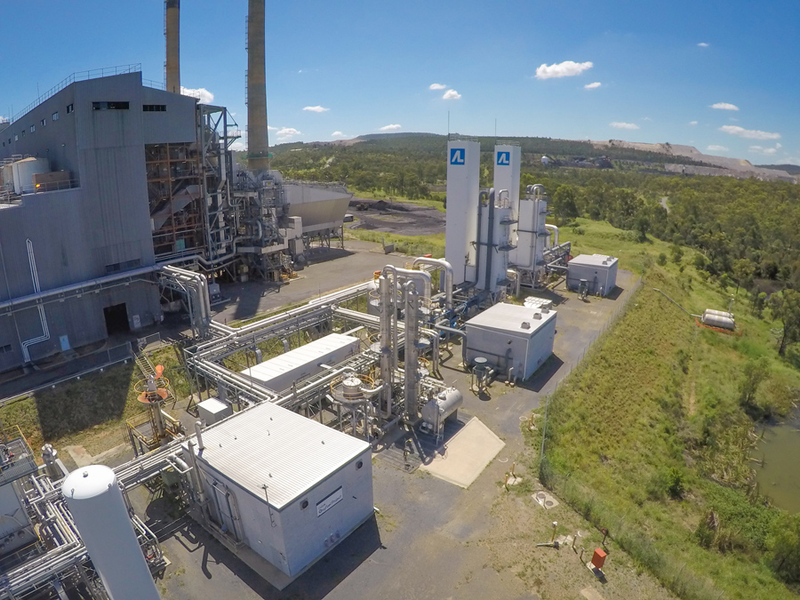 Australia’s COAL21 supports several projects that are assessing the geological storage potential of sites around Australia, including the viability of storing CO2 in Queensland’s Surat Basin and other sites in NSW. Carbon storage offers the greatest potential for the permanent removal of CO2. Carbon can be stored in tiny pores within porous rock. Carbon can be stored in depleted oil and gas fields. Carbon leakage over 1000 years can be limited to less than one per cent.